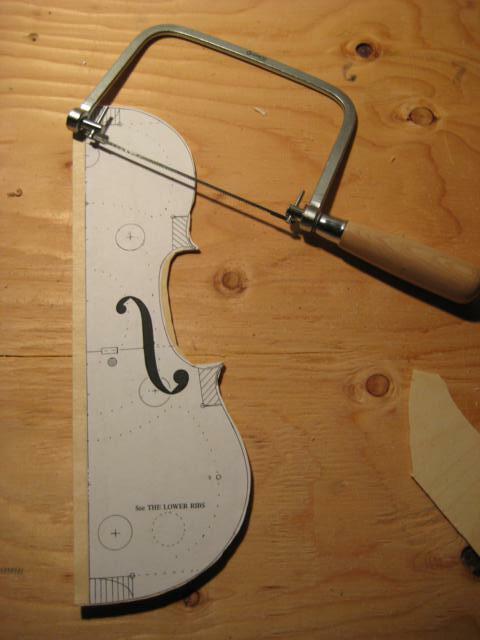 The violin pattern I’ll be following comes from Henry Strobel’s Violin Making book. The pattern itself is based off of a violin made by Leandro Bisiach and it is of classic Italian (Stradivari) style. The first thing I did was take the pattern to a FedEx shop and made several copies in case I screwed up. Despite the warning in Strobel’s book about using a regular copier, my copies came out as perfect as I could tell using my digital calipers to gauge. 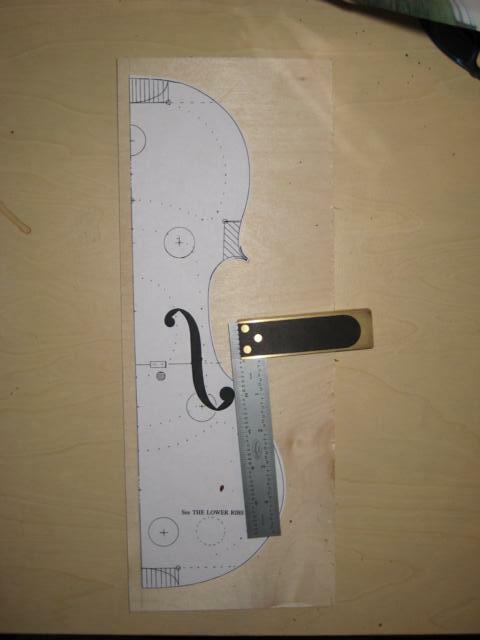 I then glued the pattern copy to 1/4″ birch modelers plywood. In hindsight, I may use aluminum sheet next time as it’s a little more durable and the edges would be crisper. After gluing on the pattern, I cut it out by hand using a coping saw. 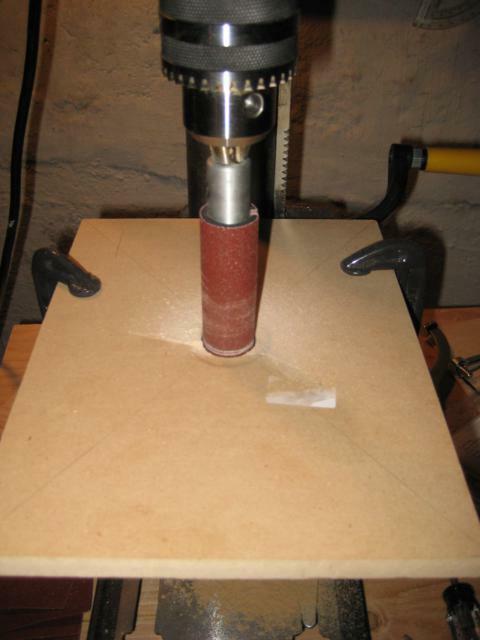 I then sanded close to the lines by hand and and using a drum sander on my drill press.